Joseph Parker, the World Boxing Organisation’s World Heavyweight Champion – a top-10 contender in old money, secured a Majority Decision against Hughie Fury at the Manchester Arena tonight. In a turgid affair, the Kiwi champion was rewarded for landing a mere handful of heavier right hands and forcing the pace throughout. The scorecards, which included two 118-110 returns, one from the same Terry O’Connor Parker’s team had rejected as the appointed referee, appeared unduly wide. It was a difficult fight to score admittedly, and I could listen to opinion that had the score anything from 7-5 for Fury to 8-4 for Parker. There were several rounds which could swing either way. I arrived at a 114-114 score, which chimed with the third judge. At times, Fury’s footwork and counter right hands were beautiful and beguiling but, crucially, never threatened to deter or hurt the visiting champion. Parker’s best moments occurred when strategy and tactics were foregone and he crowded and swung hard at the 23-year old challenger. Clearly, those bursts impressed or persuaded the ringside trio far more than the watching commentary team who leaned toward a Fury victory. Curiously, despite defeat my takeaways from the contest were more positive for the vanquished challenger than the retaining champion. 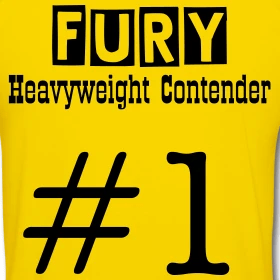 Fury will develop exponentially from these twelve rounds, his first in 18 months, and the prospect of him adding a little more substance to this right hand and left jab bode well for him in clashes with the peripheral players he will need to face to rebuild his trajectory. He has time on his side and with his chronic health issues resolved one could presume he will benefit from activity and a series of camps and contests in the next twelve months. For one so young, Fury demonstrated composure, particularly when he was cut in the fourth, a decent chin, tremendous footwork and hand speed. Parker meanwhile, showed little variation in his offensive work and few followers could build a case for success versus Anthony Joshua, in fact I would forecast a Bellew triumph were the former Cruiserweight champion to succeed in the David Haye rematch and be offered a title shot. That may prove a transient conclusion, but on the evidence of tonight, and with the caveat that Hughie Fury is hard to look good against, Parker is no Joe Frazier, heck, he’s not even a David Tua or Povetkin. We, the British public, will seem him again soon though following post-fight confirmation that he hopes to compete here in the months ahead. The lucrative UK market, with potential foes Joshua, Haye, Bellew, Whyte and potentially, even Tyson Fury all looking for fights and routes to a title it is a sensible strategy. Less clear is whether Hennessy Sports can survive a difficult promotion which didn’t sell at the gate and was forced to the fringes in terms of coverage, appearing as a pay-per-view event on YouTube. I hope he does, because he was a beacon for the classic British, Commonwealth, European belts when it was easier to ‘get in to bed’ with the crop of hollow sanctioning bodies utilised by his more established contemporaries. Late Note: Mick Hennessy, clearly angry at the outcome, has stated he will appeal the decision and drew comparisons between Hughie Fury’s performance and Muhammad Ali. A comparison which will draw mockery from those who hear or read it. I think some latitude should be afforded to him given the challenges he’s faced bringing this fight to fruition and the emotions he will have felt. And I’ll state again, Hughie has huge potential. For a host of unofficial tribute wear click on the image above.